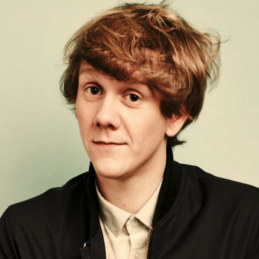 After making his mark as an award-winning and hugely-successful stand-up comedian and television panellist, Josh Thomas turned his hand to writing, acting and co-executive producing his own television show for ABC TV, inspired by his life and his comedy, called Please Like Me. When Participant Media in the US chose to launch its brand-new Pivot television network with Please Like Me and to co-commission a second season with ABC TV, Josh was on his way to becoming an international success story. He has been awarded by the Australian Academy (AACTA) and the Australian Writers Guild for his writing for Please Like Me, and has been nominated for AACTA and Logie Awards for his performances in the show. In addition, the show itself has won Best Comedy at the AACTA Awards, Most Outstanding Comedy at the Logie Awards and has been nominated as Best Comedy at the International Emmy Awards, Rose d’Or Awards and GLAAD Media Awards. The show has gained critical acclaim across the globe and has been named as one of the best TV shows of year by Entertainment Weekly, The New Yorker, Time, The A.V. Club and the Los Angeles Times. Following on from the show’s success in both Australia and the US, Please Like Me is now available worldwide, streaming Hulu in the US, Amazon Prime Video in the UK & Ireland, and Netflix in the rest of the world.